BUYING A LOW BUDGET FORD EXPLORER. When you get a Ford Explorer you get a comfortable, roomy, good performance and a SUV with great options. TOP SALES SUV. For decades, the Explorer has been among the first choices of people at the time of buying an SUV. The popular Ford Explorer SUV was completely redesigned with a roomier, more refined interior. Considered as a mid-size SUV, the Explorer is one of the Top Seller SUVs of Ford Company. The Explorer was released in march 1990 as a replacement for the Ford Bronco and a derivative of the Ford Ranger Pickup with many more options. It was sold as a 1991 model in 1990. The Explorer is classified by the Ford Company as a SUV size between the Ford Expedition and the Ford Escape. You can find the Explorer in two different models: 2-doors (Explorer Sport Version) and 4 door. Four-wheel (4WD) drive is an available option. Automatic and 5-Speed transmission. Its fueling capacity is 19.4 gallons. Until these days, the Ford Explorer has passed for 4 generations. Its first generation was built from 1991 to 1994. The second generation from 1995 to 2001. The third generation from 2002 to 2005. The fourth generation from 2006 to 2010 and the beautiful and completely renovated fifth generation with 2011 model. 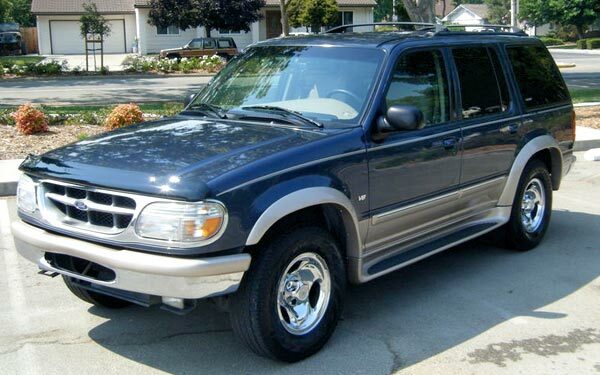 In 1997 was launched the Mercury Mountaineer, a complete clone of the Explorer. 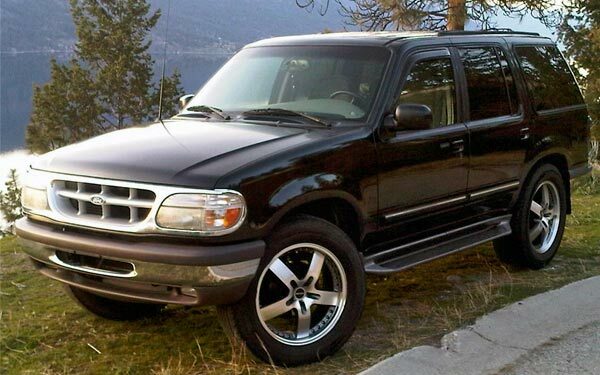 During the third generation Trim lines were the base: Sport Value, Sport Choice, XLS, Sport Premium, XLT, Eddie Bauer, and Top Limited and the Ford Explorer took a similar appearance to the Ford Expedition. The new Explorer comes with a stronger base were a new interior, redesigned rear suspension, and power-folding third-row seats, besides tire-pressure monitoring system and electronic stability control are standard. The boards are power running like the Lincoln Navigator. The fuel capacity is 16.4 gallons and the transmission is 6-speed automatic. It is being assembling in Chicago, IL. Find more info about the new Ford Explorer at Ford Explorer Official Site. Video: The Ford Explorer is one of the safest vehicles Ford builds and was completely redesigned for 2011. It highlights for being comfortable and powerful. One of the most favorite American vehicles.